Actor and writer Nicole Lecky. Caring demands and their effects on jobs. Labour politician Barbara Castle. FA Cup prize money and women's football. Sasha Clayton is 24 and lives in Plaistow with her mum, step-dad and little sister. She spends most of her time scrolling through social media alone in her room. Sasha wants to singer - but she needs money to make that dream come true. 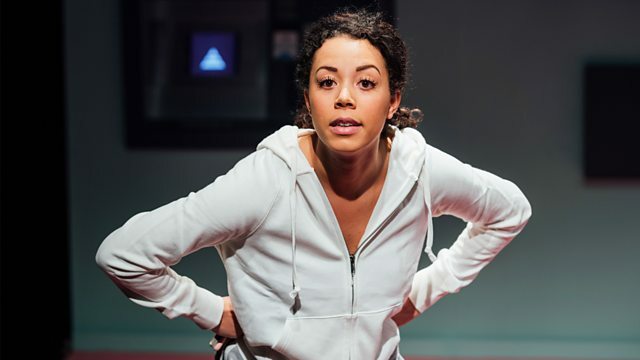 Superhoe is a new play at the Royal Court Theatre in London exploring Sasha’s life, and the dangers that lie on social media for vulnerable young women. Nicole Lecky is the writer and stars in Superhoe. She discusses the play and all that she learnt whilst putting it together. New research from Carers UK shows that 6% of women have quit their jobs in order to care for a loved one, with a further 5% having reduced their hours. So what can employers do to improve things for carers? And is it fair to expect even small businesses to comply? It’s 50 years since ‘In Place of Strife’, the late Labour politician Barbara Castle’s attempt to reform the trade unions. In an era of powerful unions, who would negotiate over beer and sandwiches at No 10 Downing Street, her plan failed. But within a year she succeeded in driving through the Equal Pay Act and in 1975 she reformed family allowances to “take money out of the husband's pocket on the Friday and put it into the wife's purse on the following Tuesday”. We discuss how Castle fought for union reform, what she learnt from it and her legacy with biographer, Anne Perkins and journalist, Helen Lewis. Lewes FC, the only football club to pay their men and women teams equally, have asked the Football Association for an increase in the Women’s FA Cup prize fund. The FA recognises a significant disparity but say they’re doing what they can to make progress. Sports Writer, Anna Kessel and Charlie Dobres from Lewes Football Club share their thoughts. There is no single 'autism test'. But as diagnosis can lead to your child getting the right support. what do you do if you think that your child is autistic? When can you tell and where can you go for help? Jane speaks to Emma Gill who has a 4-year old daughter who has been diagnosed with autism and Dr Sarah Brook, clinical lead at the National Autistic Society’s Loma Wing.